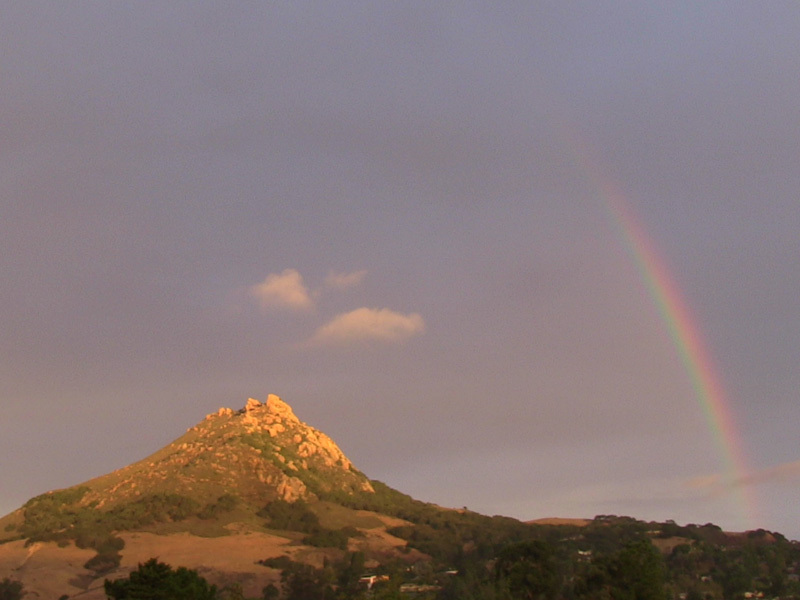 A rare rainbow, one without rain clouds or rain, was visible Monday morning over Bishop Peak in San Luis Obispo. Ahhh, I can almost see Jesus walking down that rainbow with His 2nd coming. Praise! Beautiful! Thanks for doing this. Is this the same Kevin Rice running for SLO city council? Whatever, this photographer obviously ppreciates the beauty here, and many thanks to CCN for putting this up. Love it! I love Autumn lighting – especially around here in our beautiful area. Thank you for sharing! …forgot to add, if people want to see the “unsquished” version, just RIGHT-CLICK and SAVE IMAGE AS and you’ll get the “unsquished” version, which is slightly wider than CCN’s constrained one here on this page.